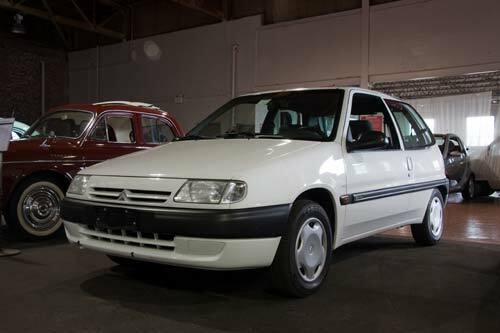 In 1997 Citroën and Peugeot came out with an electric car based on the compact 106 Series cars. 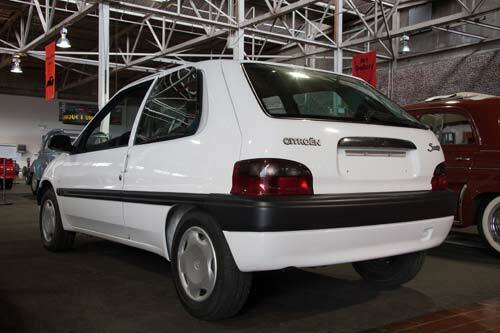 The car was powered by an electric DC motor and 20 6V NiCad batteries that were water-cooled. Performance was adequate, with 0-30 mph in eight seconds, and 55 mph top speed. The range was 40 - 60 miles. The car did have a 2.5 gallon gas tank to run the heater. The electric car was 640 lbs. heavier than the gas version because of the batteries. 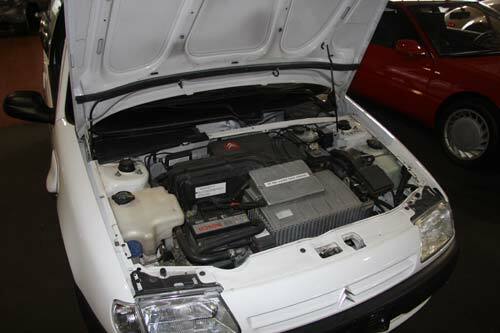 Although one could purchase the car, the batteries had to be rented from the manufacturer for $100 a month. Because the batteries took up so much space, the electric car did not come with a spare tire – there was just no room for it.